/ Home / Press office / PR opinion / Will the Taylor Review deliver ‘Good Work’? Good Work – The Taylor Review of Modern Working Practices was published today, making a series of recommendations designed to respond to the challenges of ‘modern business models’. In particular, it targets the rise of the so-called ‘gig economy’ and with it the 3.2 million people who work in insecure jobs. At one level the Review was a response to uncertainties over the legal rights of those working under zero-hours contracts and within ‘Uberised’ jobs. But as the title of Matthew Taylor’s Report implies, it also had a wider ambition of laying the basis for a new regulatory framework which will encourage the development of ‘good work’ and with it a more engaged and productive workforce. Importantly, it recognises the importance of ‘responsible corporate governance, good management and strong employment relations’ within organisations and particularly the need for workers to be ‘engaged and heard’. However, it fails to offer a convincing account of how this will be achieved. Most commentators have focussed on the report’s conclusions regarding the legal rights of those working on non-standard contracts. Many new business models claim to use contractors who are self-employed and consequently do not have the employment rights enjoyed by workers and employees. Furthermore, reports of workers earning well-below the minimum wage and subject to onerous and exploitative contractual provisions have become commonplace. a right to a written statement of terms and conditions on the first day of employment. Although these measures may provide some clarity, whether they give greater protection to workers is open to question. It could be argued that the legal status of ‘gig’ workers is already well on the way to being resolved, with employment tribunals ruling recently that certain cyclists and drivers for companies such as CitySprint, Excel and Uber were ‘workers’ and therefore qualified for the National Minimum Wage and holiday pay. Perhaps more importantly, the Review sidesteps the fundamental weaknesses with the UK’s structure of employment regulation. In essence, a legal right is only as strong as the ability of a worker to enforce it. The onus for doing so is on workers themselves – and these are often those who feel most vulnerable and have little access to help. This has not been helped by the introduction of fees of up to £1200 for bringing an employment tribunal claim, which has seen the number of cases fall by around 70 per cent. Therefore, the new rights outlined in the review are unlikely to have a significant impact unless access to justice is significantly widened. Unfortunately, the Review only asks the government to keep the level of fees ‘under review’. In fact, the current focus on the rights of workers in the gig economy has been due, in part at least, to workers being prepared to organise and act collectively, whether that is through Deliveroo drivers taking industrial action or unions such as the IWGB and the GMB supporting legal cases. This demonstrates the importance of representation in helping workers to call-out unfair practices. Importantly, the Review explicitly acknowledges the role played by trade unions protecting workers against ‘detriment and unfairness’. 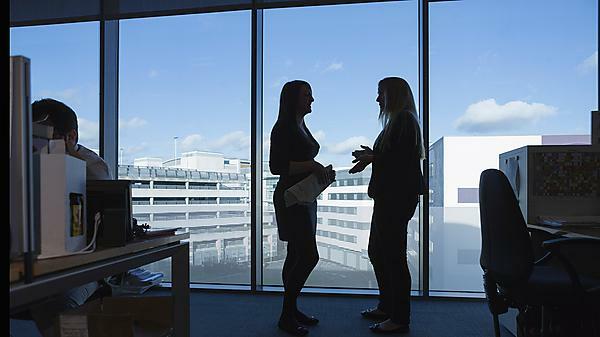 Our own research has pointed to the key role played by employee representatives in developing effective ways of resolving conflict in UK workplaces. This can have a positive impact on employee engagement and organisational performance. However, as the Review rightly points out, representative ‘voice’ in UK workplaces has been eroded in recent years. Two-thirds of workplaces have no representative structures and most employees have no representative at their workplace to whom they can turn for advice and support. However, the Review’s recommendations in this area are underwhelming. Its suggestion that the Government should re-examine the effectiveness of the Information and Consultation Regulations and consider lowering the bar to gaining consultation rights is a move in the right direction, as is the recommendation that the Low Pay Commission should have a wider remit to examine ways to improve the quality of work. But previous attempts to nudge employers towards providing greater employee voice have largely foundered on the reluctance of successive governments to compel employers to take action. The fundamental problem is that regulation designed to underpin fairness is seen as a burden to business and not as a vital foundation of an engaged workforce and a productive economy. Unfortunately, the Taylor Review has not departed from this narrative and in so doing is unlikely to deliver the radical reform needed to deliver ‘good work’ to the UK.